Welcome to your weekly roundup for July 14-21. This week we have advice on how salespeople, even top-performing reps, can protect their jobs from the curve of commodification, new data from the State of Sales 2017 and a summary of the four stages to becoming an excellent front line sales manager. B2B Sales specialist, author and keynote speaker Graham Hawkins gives a rundown on how, in the modern selling environment, even the best sales reps’ jobs are at risk. Hawkins brings to light how salespeople, especially those who hit their quota, become the largest cost component of every sale. - The main reason for this is because the value chain has changed. In the old model, the sales person held all the value, acting as a gatekeeper for information and a retailer or reseller from the vendor to the buyer. See diagram below (courtesy of Graham Hawkins via HubSpot). In today’s model, as we know, buyers have access to tons of information, making them more informed and powerful. In this modern selling chain, the salesperson has become more of an intermediary, and, consequently, employers are reevaluating their role in the value chain. -To dive deeper into this, consider the Cost of Customer Acquisition (CoCA) vs. Lifetime Customer Value (LCV). Hawkins uses the example of Atlassian, an Australian software company that no longer employs salespeople. By doing this, they were able to drastically reduce their CoCA, leaving margins to invest in other departments. 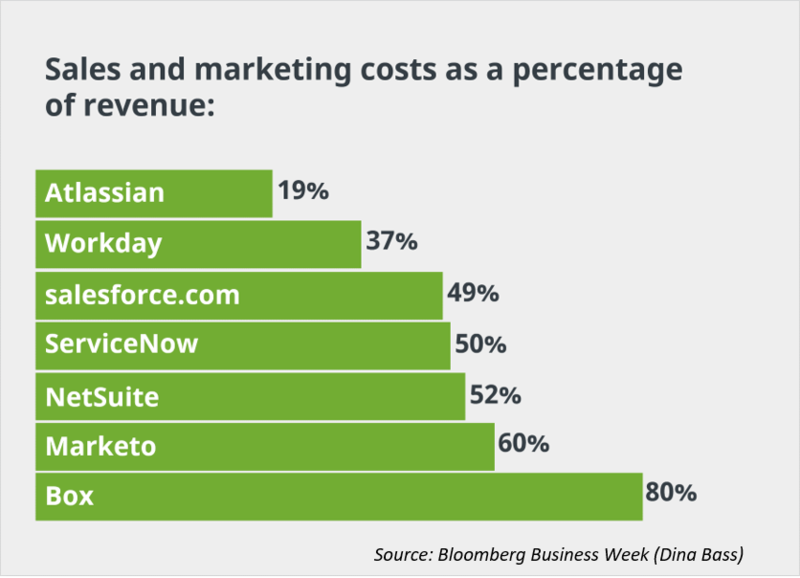 According to Hawkins, vendors such as HP, IBM and Oracle spend over half their revenue on sales and marketing alone. He poses the question: how can they compete with Atlassian when their CoCA is significantly higher, and their margins lower? - Specialize. Become a specialist in your field to bring value to both your employer and customer. - Cultivate your personal brand and become part of an open network that can protect your career. Your personal brand is your own best asset. Capture insights, share them, and stay socially connected. *This is a summary of Why Even Top-Selling Reps Might Lose Their Jobs Soon by Graham Hawkins. With the rise of the subscription economy, particularly with SaaS adoption, salespeople are tasked with engaging buyers throughout the year and providing ongoing value in order to retain customers. This year’s research shows how technology has become more central to top sellers’ ability meet rising buyers’ expectations in this more complex market and how buyers’ perception of salespeople has shifted at a result. - Sales tech investment is up: 55% of sales professionals expect their company will increase technology investments in 2017, an increase from 36% in last year’s survey. - Buyers want salespeople to stalk them on social media. 77% of buyers won’t engage with a salesperson if they didn’t do their homework first, while 64% say they won’t engage if communication is not personalized. - The “Wolf of Wall Street” image is dead. “Trustworthy” and “high integrity” are among the three top adjectives buyers use to describe sales professionals. - Millennials lead sales tech adoption, but Baby Boomers and experienced sellers aren’t far behind. 59% of millennials use productivity tools like Google Docs and Dropbox, compared to 40% of baby boomers. *This is a summary of The State of Sales 2017 by LinkedIn Sales Solutions. Senior Lecturer, Harvard Business School, and Author of Aligning Strategy And Sales, Frank V. Cespedes, breaks down what it takes to become an outstanding sales manager. “Moving from doer (individual contributor) to manager (someone who gets things done with and through others) is a challenge,” he writes. Here are the four stages of a career development model that identifies progressive behaviours which enable people to handle responsibilities of greater scale and scope. This is the stage where individual contributors develop and hone their core competencies and deliver these effectively. Some people stay here only for a year, others stay here for their entire careers. Whereas people in stage one are still very much learning their craft, those in stage two are growing their set of responsibilities to affect larger change. Whether salesperson or marketer, you must be able to deliver value consistently. Stage two is where successful sales managers are typically chosen. Stage three is where people learn to perform through others. “They support, influence, and align the efforts of others without themselves needing to 'be there' — to open the client door, get access to decision makers, close the sale.” It is also important here to widen your understanding of who else you need to work with in the company to be effective. Stage 4: Shaping Organizational Direction. Not everyone makes it to this stage, and nor should they. Companies need wide swaths of people at every developmental phase. Cespedes says it best: “While stage 3 managers optimize the cards they have been dealt, stage 4 managers help to reshape the deck and the continued relevance of the cards. Stage 4 managers are students of the changing landscape of their external market and industry.” It is from this stage that organizations find future executives. *This is a summary of The Four Stages to Becoming An Excellent Front-Line Sales Manager by Frank V. Cespedes.